At The Petal Pusher, we deliver the freshest flowers and brightest smiles! 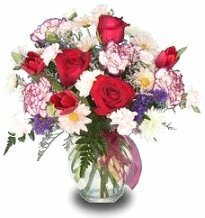 We’re a local Dillon, South Carolina florist with an exceptional variety of fresh flowers, plants and unique gifts for all ages and occasions. We hope you enjoy your online shopping experience with secure 24-hour ordering right at your fingertips. If preferred, you may call us to place orders direct at (843) 774-2754. The Petal Pusher is open to serve your floral and gift giving needs: Monday through Saturday 9:00 am to 5:00 pm. Closed Sunday. Wedding & Special Event Flowers ~ Let us help you plan the flowers and on-site decorating for a beautiful and memorable wedding, corporate function, holiday party, or any special event - large or small. Call (843) 774-2754 to schedule a consultation with one of our talented floral professionals. 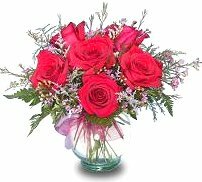 Thank you for visiting our website for flowers delivered fresh from a local Dillon, SC florist and convenient online ordering available 24 hours a day! !